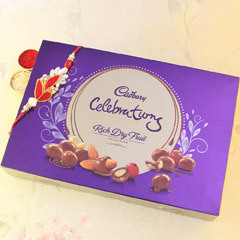 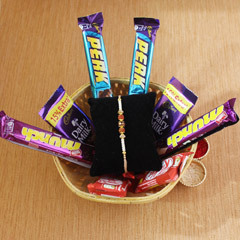 With Rakhi Delivery in Jaipur Convey Love & Hearty Greets to Brother! 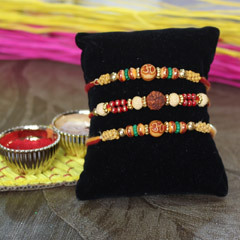 Rakhi is a festival that strengthens the unique bonding of love between brothers and sisters. 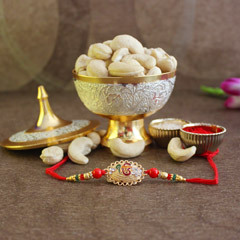 This ceremony symbolizes your deepest emotions of love that is shared between every brother and sister. 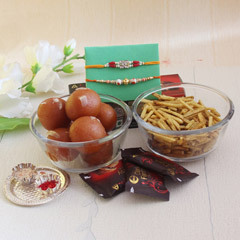 Thus, on Raksha Bandhan, every brother sister gathers at one place to celebrate the jovial and auspicious festival and strengthen their bond of love. 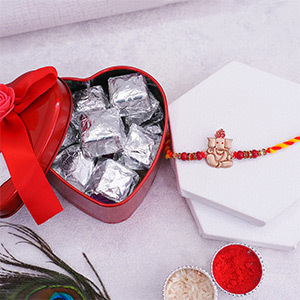 For the brothers and sisters who are parted miles from each other, Rakhi.in is there to help with its services for Rakhi Delivery in Jaipur. 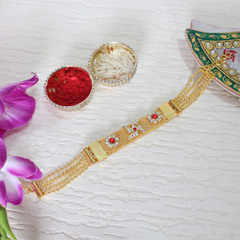 What to Find @ Rakhi.in to Buy Rakhi Online! 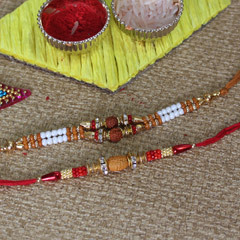 Thankfully, sisters who are unable to be in Jaipur this Raksha Bandhan can now send Rakhi to Jaipur. 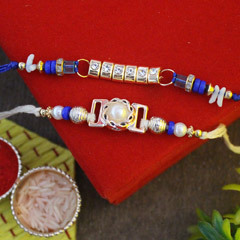 And those brothers who are unable to be in Jaipur on this auspicious day, can now send Rakhi gifts for sisters who are in Jaipur. 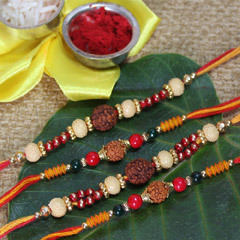 Choose from our attractive collection of Zardosi Rakhi, Designer Rakhi, Rudraksha Rakhi, Fancy Rakhi and many more to amaze your brother. 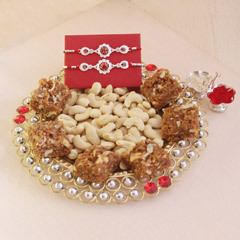 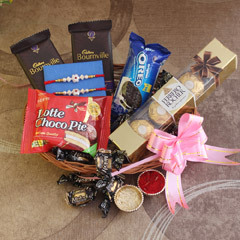 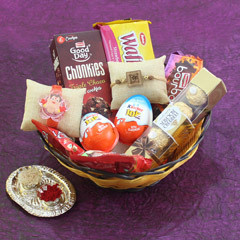 By using our online delivery services you can send Rakhi to Jaipur and make this relationship to get even stronger. 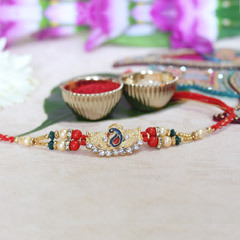 Every Rakhi offered in this catalogue is designed and crafted with great intricacy to let every sister adorn the wrist of her dearest brother with the best Rakhi thread and strengthen the bond with him. 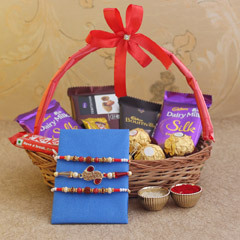 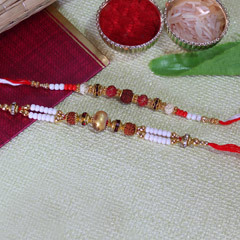 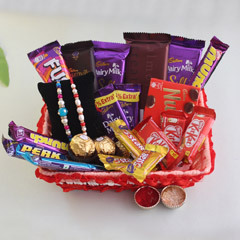 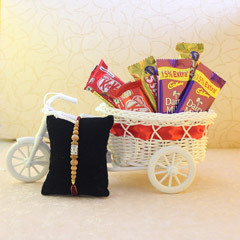 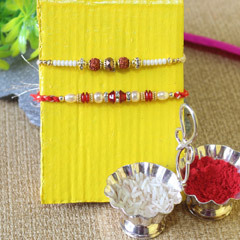 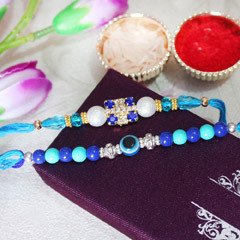 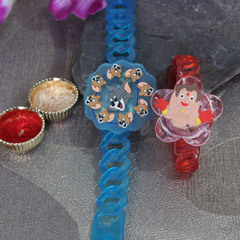 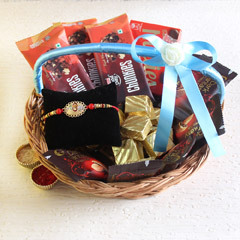 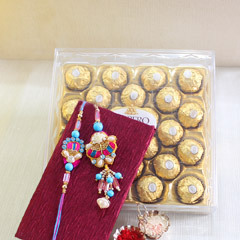 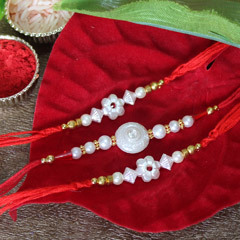 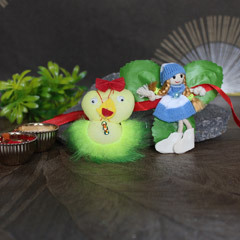 People can shop Rakhi online at amazing price point or with amazing gifts as well. 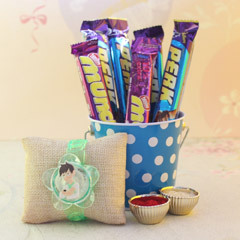 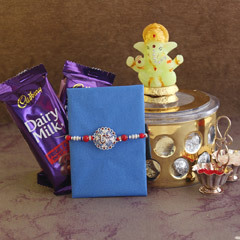 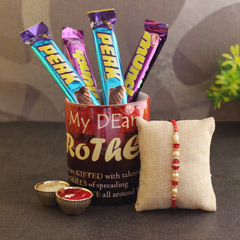 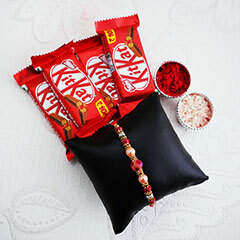 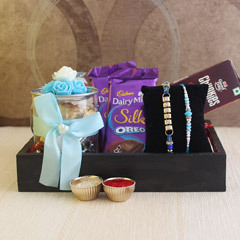 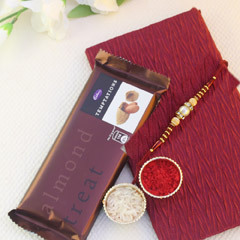 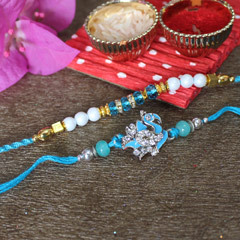 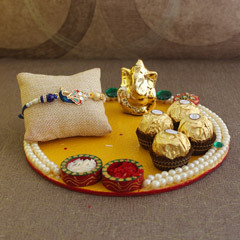 Send Rakhi to Jaipur Anywhere within a Matter of Few Clicks! 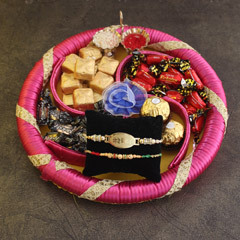 To help people send Rakhi to Jaipur, the portal maintains a wide and efficient delivery network across the Pink City. 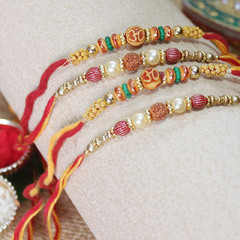 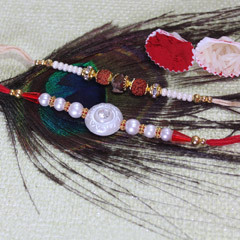 Thus any sister willing to send Rakhi to Jaipur, can do that with great ease via Rakhi.in. 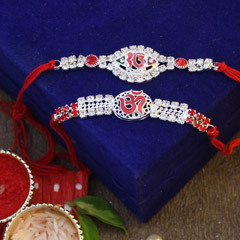 So be it is to send Rakhi to Jyoti Nagar, Malviya Nagar, Ramganj, Indira Bazar, Jagatpura, Janata Colony, Jawahar Nagar, Jhotwara Industrial Area, Johari Bazar, Khatipura, Mansarovar, Mirza Ismail Road, Motidungri Marg, Muralipura or any other place across the Pink City, the portal offers the ease of Flower delivery in Jaipur with great ease.